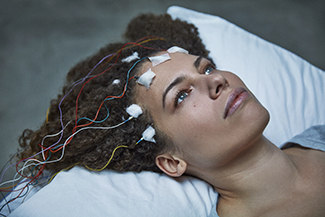 In one of the early scenes in her heartbreaking 2017 documentary, Unrest, Jennifer Brea records a video on her iPhone showing the supreme effort it takes to get from her bed to her bathroom. Unable to sit up, she painstakingly slithers off the sheets and onto the floor. She collapses briefly and then begins to slowly crawl across the room, crumbling every few inches until she can summon the strength to press forward. These graphic scenes tell you all you need to know about what it is like to endure a debilitating and often misdiagnosed disease known as chronic fatigue syndrome. In 2012, after more than a dozen consultations, immunologist Dr. Nancy Klimas, of the Institute for Neuro Immune Medicine at Nova Southeastern University in Fort Lauderdale, Fla., diagnosed Brea’s chronic fatigue syndrome. Her difficulty in getting a diagnosis is par for the course. The Centers for Disease Control and Prevention estimate that 836,000 to 2.5 million Americans (and another 15 million people worldwide) have what is now called ME/CFS (myalgic encephalomyelitis/chronic fatigue syndrome). ME/CFS strikes four times as many women as men; once women find they have the disease, they generally do not have children. What helped Brea in her darkest moments was discovering through the internet that she was, in fact, part of a community of millions afflicted with a disorder that causes her to ricochet between total exhaustion and intermittent depletion. Other symptoms include swollen glands, low fever, insomnia, swallowing and other digestive problems. One well-known ME/CFS sufferer, Laura Hillenbrand, is largely bedridden and writes her best sellers—Seabiscuit: An American Legend and Unbroken: A World War II Story of Survival, Resilience, and Redemption, both of which were made into films—propped up on a pillow. Another, actress Morgan Fairchild, has a milder version and is able to work by carefully structuring rest periods between performances. Typically, ME/CFS strikes people in their mid-30s, but anyone from 10 to 80 is vulnerable. The common trigger is some kind of stressor, like the Epstein-Barr virus that causes mononucleosis, or it could be spurred by a bacterial infection, an auto accident, even chemical or toxic exposure. If you Google ME/CFS specialists in the United States, only around 45 names pop up; 12 in California, eight in New York and the rest scattered among 13 states. One of them is Dr. David Kaufman, an internist in Mountain View, Calif., who has a six- to nine-month waiting list for new patients. From ‘Unrest.’ Image by Jason Frank. For most sufferers, treatment is a series of personal trial and error experiments with antiviral drugs, antibiotics, vitamin injections like B12 and other supplements that target specific problems like joint pain or gastric distress. Researchers, too, are frustrated. “This is a multifactorial disease and it’s hard to choose which road to follow,” says Ron Davis, Ph.D., professor of biochemistry and genetics at Stanford University School of Medicine and chief researcher at the Open Medicine Foundation in Agoura Hills, Calif., one of the principal private sector organizations dedicated to decoding the mystery of ME/CFS. The other one is Solve ME/CFS Initiative in Los Angeles, whose chief scientific officer is Zaher Nahle, who has a Ph.D. in biophysics and physiology. Both organizations have joined the Hadassah-sponsored Coalition for Women’s Health Equity, which is hosting a summit in Washington, D.C., on May 16 (for details, see hadassah.org/celebration2018). Among the host of questions these two groups research are: Is the disorder an autoimmune problem and do certain people have a genetic predisposition? Is something wrong in their gut biome? What causes patients’ hypersensitivity to light and sound? Is there a possible connection to autism, Lyme disease or fibromyalgia? What is the significance of chronic inflammation? What affects the disruption in the brain’s cognitive system? They are trying to locate a reliable biomarker to diagnose the disease in lab tests and to find out what prevents the cellular metabolism of these patients from manufacturing energy. Until fairly recently, ME/CFS has languished in the shadows of public awareness. Unlike AIDS, where thousands of victims and their supporters took to the streets to force the government into responding, people with ME/CFS are too exhausted to get out of bed and fight for attention. Because it overwhelmingly affects women, it’s frequently lumped in the derogative category of “women’s diseases” such as lupus, migraines, fibromyalgia, vulvodynia and interstitial cystitis. Many in the medical community still believe that ME/CFS is a bogus disease and deride it as psychosomatic. One neurologist told Brea she had conversion disorder, a psychiatric term for neurological problems caused by stress. Nahle notes that ME/CFS research has been victimized by “sexism camouflaged by ignorance,” which, until recently, has contributed to keeping it among the lowest ranks of federal research dollars—less than hay fever. But all that is changing. On a cold February day in 2015, the Institute of Medicine, the National Institutes of Health and other federal agencies issued a watershed report branding ME/CFS a serious and widespread disease. NIH Director Dr. Francis Collins declared, “Of the many mysterious illnesses science has yet to unravel, ME/CFS has proven to be the most challenging.” To meet that challenge, NIH announced in 2017 the establishment of four collaborative centers—three for research at prestigious universities and one for data management—to investigate this elusive disease. And to fund those centers, it awarded them $35 million in grants over the next five years—a fivefold increase in the amount given for ME/CFS research in the past. Advocacy has also shifted into high gear. For the first time, ME/CFS patients are getting the opportunity to make themselves heard through an international grassroots movement called #MEAction, which uses social media and videoconferencing to mobilize home-bound people into a political force. One of its great successes has been organizing Millions Missing awareness events for those with ME/CFS. In 2016, there were demonstrations in 24 cities worldwide. Leaning on canes and rolling in wheelchairs, patients and their caretakers gathered in front of government offices. Thousands too ill to attend sent pairs of shoes tagged with their names, including hiking boots and ballet slippers, representing activities taken from them. Meanwhile, Brea has had the thrill of seeing her film win documentary awards at several festivals, including Sundance, and it was even short-listed this year for an Oscar. “I made this movie when I realized that no one thought my disease was important enough to treat,” she says fiercely. “I had to do something.” That something helped moved the needle on ME/CFS to its present tipping point. While an Oscar is off the table, Brea has already won something more important. Carol Saline is a journalist, speaker and author of the photo-essay books Sisters and Mothers & Daughters. Even here in the Nations Capitol, there is not a single ME/CFS recognized medical service provider although there are several who will say so and gladly take large consulting fees paid in cash, not submitted to insurance. Thank you for reporting on ME/CFS. I HIGHLY applaud Carol Saline, the author of this article and Hadassah’s magazine for this well researched, well written article!! It makes me cry and hopeful. I am a Hadassah member, and also have a daughter (also a Hadassah member) who has been ill for 27 years with this devastating illness. Thanks for taking this disease seriously and making people aware of it. I am ashamed of the NIH for the little it has done and little it is doing. $35 Million for 4 years is pitiful compared to how other diseases are funded. Only the NIH has the full capacity to fund research for this crazy and mystifying disease, whose diagnosis (not established) will help cure other illnesses. This disease has no diagnosis, no treatment, no cure. Come on NIH!!! And I salute Hadassah for creating the Women’s Health Equity Summit to give awareness and advocacy in Congress for many illnesses affecting women. Big Thanks Hadassah. Great article. Thank you for giving voice to so many who need help. We are so often overlooked we begin to feel invisible. Articles like this help more than you can know. Wonderful article educating folks on this misunderstood illness! A million thanks to Hadassah, Rivka, and everyone involved in exposing this horrific disease. Many of us have suffered for decades, while research funding hasn’t even come close to matching what is known as “disease burden”. In order to bring ME/CFS out of the shadows to find treatments to help the afflicted, we need the help of our worldwide Jewish Community. We must find answers, which can only happen with significant funding. This is a global health crisis. Please help spread the word and the need for immediate funding. Millions of us are missing out on our lives. Thank you for hearing us and helping us. I appreciate you covering this. Thank you for writing this very important article. Unrest and Jen Brea have been tour de force. But let’s not overestimate what NIH is doing. The $35M 5-year grant is $7M per year, bringing annual NIH funding up to $13M, whereas it previously was in the $5M-$8M range. This is not a 5-fold increase as stated in the article, but rather less than a doubling. Annual NIH funding for ME/CFS must be increased to the $200M neighborhood to be commensurate with its disease burden.NIH appears to have no strategic plan for ME/CFS and needs to be pressured to take it much more seriously. Thank you for this very well-written, well-researched article on ME/CFS. I’m a volunteer with #MEAction and have had ME/CFS since 2010. It took 4 years for me to be diagnosed, and I got much sicker during that time as I didn’t know how to manage my condition. At the moment, I’ve been bedbound for over a year. I live in Michigan, where there are no specialists and it’s hard to even find a doctor who knows what ME/CFS is or will take you seriously. We are now planning for this year’s #MillionsMissing and hoping to make a big impact for change! Thank you for educating people in our community about ME/CFS! I have been severely ill for 32 years now and am happy to support for us from my own community. I love that you took time to cover this topic. Healthy people are so overbooked that there is barely time to notice when people disappear from the day. I think too often healthy people are not aware of how lacking our system is, even for those with good insurance coverage. Access to medical care is a funny term, kind of like putting a quarter into a slot machine. You can go to the doctor but it is uncertain if the care and attention given will be appropriate or worth the energy spent getting there. Thank you, thank you, Thank you. Thank you Carol Saline and Hadassah magazine for this excellent report. ME/CFS patients are isolated and seemingly forgotten until someone tells their story. Thank you for giving a voice to patients who are too sick to speak for themselves. Grateful. I’m so happy to have seen this article. I’m a Hadassah member and have a daughter who been suffering with this horrible malady for years. After bouncing from one doctor to another, she was finally diagnosed with ME/CFS. I wasn’t aware how many people this has affected. Thank you so much for sharing this information. Thank you for helping to make this invisible, hellish disease visible. We need every ounce of empathy and care we can get. Hopefully this excellent article will help generate some. Thanks for your fine article. Strange how so many people thought CFS was a bogus disease. unrestrained viruses, for reasons unknown. Which was the point of creating the syndrome – to find out why. Thank you for this great, well researched article about ME/CFS! I have been ill with this devastating disease for 6 years. Thank you for this very well-written article on ME/CFS. It’s about time the world gets to understand this terible illnes. We have a 14 year old daughter with ME/CFS (she got ME at the age of 9) It took almost 5 years to be diagnosed. At the moment, she can go to school twice a week,and is in bed most of her time during the rest of the week. In between her resting hours we try to do some schoolwork. We live in the Netherlands. Thanks to Carol Saline and Hadassah for this well written and well researched article. Thanks for helping to give a voice to the voiceless, to those who are too ill to advocate for themselves. Often the only people who know about ME/CFS other than the patients are those who have a family member with the disease, which is strange for a disabling disease which affects more people than multiple sclerosis or Parkinson’s. It’s bad enough to have your life upended by a disease which leaves you housebound and sometimes bedridden, but to get no sympathy from friends who think you just need to “buck up and get out more” makes it much worse, so it’s important to get the facts out to a wider audience. I agree with you that the underfunding of research into diseases which primarily affect women is a women’s health equity issue, a human rights issue. Women’s symptoms tend to be dismissed, discounted, and trivialized, and their diseases not considered worthy of serious study. I am so grateful for this article and the attention you draw to this devastating and life-altering disease. Those of use with ME who are housebound are too ill to get out to raise awareness and funding. Even writing emails to congressional representatives or medical personnel can be as debilitating as running a marathon for a healthy person. Thank you for helping to create knowledge and understanding of this misunderstood disease. Thank you for this informative article about a terribly neglected illness, a perfect example of gender inequity in our health care system. I agree with a previous commenter that NIH funding needs to be increased significantly. Before I became disabled by ME, I was working on a five-year NIH HIV research grant. Our budget, for a collaboration between two universities in California, was $8 million over that 5 year period. So forgive me if I am not impressed with $35 million for this disease– it is not even a drop in the bucket when we need and deserve oceans of funding for this devastating disease. Thank you for this timely, touching and informative article on a disease that needs so much more attention, respect and medical and scientific support. Thank you Hadassah for recognizing this international health crisis and bringing awareness to your membership. Working together we can change history and improve the lives of millions of people around the globe. Thank you! I’m one of the millions missing! 18 years of ME/CFS. Continuing the consistent downhill slide and loosing precious quality of life. People on chemo and my 96 year old friend run circles around me and their quality of life is 95% better. I was in the best shape if my life when it all just began dripping away. Now I’m lucky if I’m able to be out of the house 1x a week and that can go quickly wrong with noises or smells that cripple me. Thank you for addressing this serious health equality issue. “Sexism camouflaged as ignorance” sums it up well the problem and Unrest leaves little room for doubt to the ignorant that this is a real and severe illness. Actually the consequences of this medical scandal affect the boys and men, too, as I know from having both a father and a son with ME. We can’t thank you enough for taking the time and interest to write this excellent article about ME/CFS. This disease is horrific and your article helps others know about this. You have done a fabulous mitzvah for so many by doing this. Thank you, more than words can say here. Thank you for this article! Everything that is written about ME/CFS contributes to some acknowledgement that we exist. And we’re too exhausted to do much. It hit me out of nowhere, very sudden onset, in early 2016. I was 67. I spent that year in a recliner watching tv, too tired to read. I slowly got some energy back. In 2017 I (somehow) moved across the country to be nearer to family. Since then I’ve had some short relapses and one that lasted several weeks. I never know what will set it off. I’m just glad it’s intermittent. All I do is rest when I relapse. In between I try to pace myself. One thing I find is that people have no clue what the fatigue is like. It’s impossible to explain that shoppping for food is too fatiguing. I get groceries delivered. And there’s always Grubhub. Thank you for writing and publishing this important article. I will be sharing this with others with the hope of educating and sensitizing them to the ME/CFS experience. I have too often seen people minimize and be dismissive of the symptoms those affected are experiencing. When someone you love has ME/CFS, it is not only hurtful to know how their life has been impacted but so upsetting that the medical profession has not offered a cure. I keep waiting and hoping. Thank you for addressing this important issue. I have been living with ME/CFS since 1994. Reading this article makes me feel hopeful. The saddest part about chronic fatigue is that it is treatable but they’re are 2 caveats, 1. You have to come a doctor that is willing to think or if the box and 2. It is usually not covered by insurance which means that or can get expensive. The other issue is that those of us that do think outside of the box tend to get peanalized by those that can’t think outside the box. Our body control 5 major control system. Digest, nervous, circular, respiation and muscle.. If the 5 major control system shut down or inhibited, we have many abnormal conditions. We call the many abnormal conditions is CFS/ME. CFS/ME may differ the bacterial infection or injury or goat or acne. CFS/ME may relate the electrical disease. So we need a new treatment. NO MD, NO Drug. If we want to cure, remove the pathogenic source and reboot our body. I’ve had true CF for 25 years, brought on by nearly fatal EB virus, followed by Hashimotos. Sadly, even the mighty Cleveland Clinic has been utterly unable to help.. I’ve never recovered. One thing (cocktail) provides brief relief, and it makes sense. Amino Energy (a product) along with food, D-Ribose and Creatine. 3 scoops, 5 grams, 5 grams respectively mixed in a shaker. Along with a calcium supplement. I have no association with ON or Amino Energy. It’s just a product that can provide the aminos without increasing lactic acid. The aminos are typically low to very low in CF sufferers. Such a cocktail feeds malfunctioning cells through alternate means. The calcium slightly buffers lactic acid buildup due to increased activity. Helping fight activity related fatigue. Fibromyalgia attacked my mother body more than 3 years ago after her knee surgery. She has been in a wheelchair for about six months, and she used a cane for another six months. She did not even know how to walk anymore. We fought the fibromyalgia with a lot of pain pills and tears not until we had to give a try on natural formulas, we purchased a herbal treatment from totalcureherbsfoundation.com which help her a lot and bring her back to normal again, the herbal formula reverse the symptoms dramatically and she’s totally free from the Fibromyalgia that cost her pains for ages .